It was a crystal clear blue-sky day in Seattle the day that we left for Brazil, my son dropped us off at the airport a couple of hours before our midday flight. After a slight confrontation at the Alaska Airlines baggage check-in counter (70 lbs bags vs 50 lbs bags), we headed out to the gate. Of course we had to stop at Starbucks first. Anyway, after a while of sitting out at the D concourse waiting for our flight, we hear over the intercom that due to severe thunderstorms in the Dallas area that our flight would be delayed 3 hours - the FAA had closed the airport until further notice. OH NO!!! We miss our connecting flight and we'll have to wait until the following night to leave. HOLY COW! I tried calling American airlines a couple of time, but was on hold for over 30 minutes. Guess everyone was in the same boat as us. After 2 hours and 15 minutes an Alaska agent got on the PA and said that we need to hurry up and board the plane, otherwise we'd miss our window of opportunity. So we boarded the plane like a bunch of cattle and we were off. Boy, I hope our connecting flight out of Dallas is delayed as well! Once we landed in Dallas I took out my cell phone and called American Airlines for their automated flight information. It said that our flight was delayed, but we only had 20 minutes before it was scheduled to take off, plus we hadn't fulled docked yet. Once we got off the plane we sprinted for the Skytrain - we were at Terminal C, but we needed to be at Terminal D. There were 3 other people on our flight that were trying to make the same connection. Finally we arrived at the AA gate and discover that the flight had an addition delay - new depart time was 21:20 hrs. Thank God! Now there's plenty of time for our bags to make it as well. I was kind of worried about this, since there would have been so little time between flights. Anyway, they decided to delay the flight even more because of all the flights on the east coast that hadn't arrived yet. So we didn't leave until 22:30 hrs - 2 and half hours after our scheduled departure time. Oh well, no big deal, we made our flight. 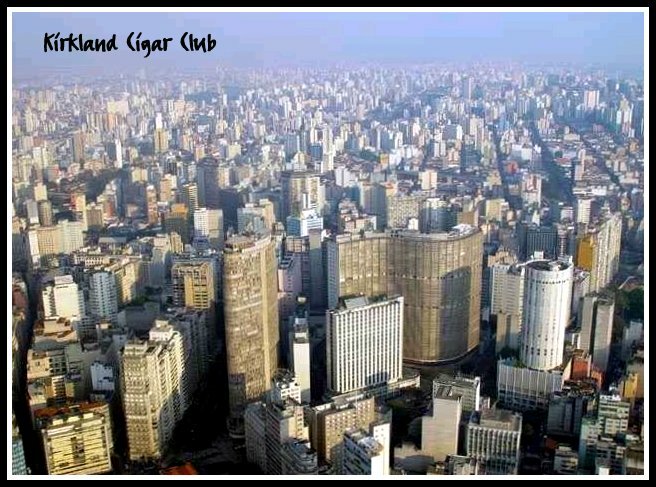 After an uneventful 10 hour flight from Dallas to Sao Paulo, we arrive. Weather not too bad, overcast sky and a temp around 70 degrees - comfortable. So we go through Customs and proceed to the baggage claim area to pickup our luggage. We flew down on a 777, so there were quite a few people waiting for their bags. It seemed like it took forever for all the bags to pass by, unfortunately none of them were ours. We exit out of immigration and there's the driver waiting for us. He'd been waiting there since 7:30 AM and it's 12:30 PM now. So off we go. About half way to our final destination, we stopped for a bite to eat at this restaurant/rest stop in the middle of nowhere called Rodo Serve. Great place for lunch, plus they've got the nicest restrooms in all of Brazil. No kidding! 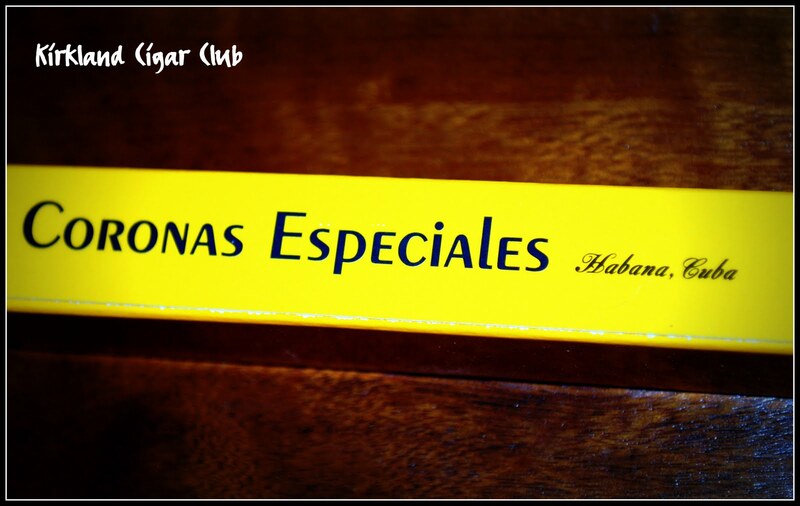 Anyway, they also have a nice little selection of cigars. BTW, I was too pissed off when I was in Sao Paulo at the airport, so I didn't even bother to check the Duty Free store for cigars. So while I was at Rodo Serve, I bought a Cuban Montecristo. It cost me about $15 US. Ouch, but not too bad for being in the middle of nowhere. Also, I think this is the first time I've seen cigars here. So let me tell you about a couple of cigars that I've smoked since I've been here. 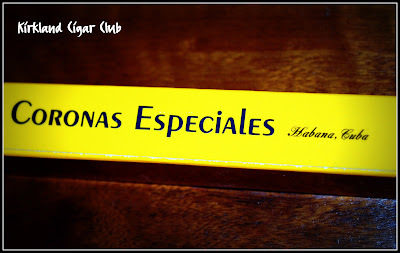 First the Cohiba Corona Especiales. 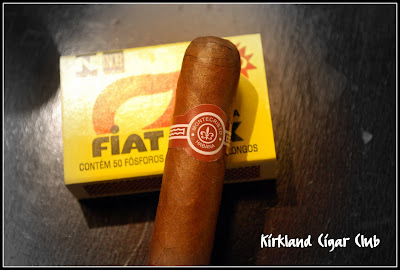 I bought a box of five almost 2 years ago in Uruguay at the Duty Free shop at the airport. My opinion of these cigars hasn't really changed, although I think this particular cigar may have mellowed out just a bit over the years. The big problem still is the draw - you have to work way too hard to get any smoke out of it, and for this reason I'm still not recommending it. Not surprisingly, their winters are warmer than our summers. 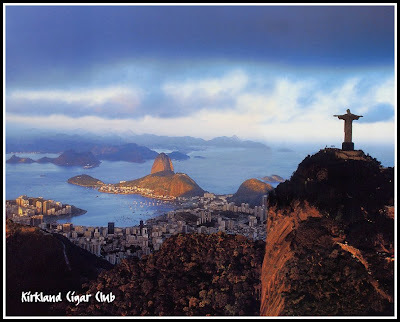 An interesting little tidbit about traveling to Brazil - the luggage limitations are a bit different. You're allowed to check 2 bags/person, and each bag can weigh 70 lbs. Most domestic flights allow 1 bag/person with a weight restriction of 50 lbs. So you better believe that my lovely wife will be checking 4 bags with a gross weight of 280 lbs. That's not to mention the 2 carry-ons we'll be lugging around with us on the plane. I'd hate to be the driver picking us up! UGH! Anyway, I'm bringing a laptop with me and it's possible that I might actually turn it on. We'll see, I'm on vacation!